Any day in which we get to celebrate Star Wars is a favorite in our household. Some of my children are adults in their own homes, but I still have three left at home and that gives me an excuse to party Star Wars style! But I digress. 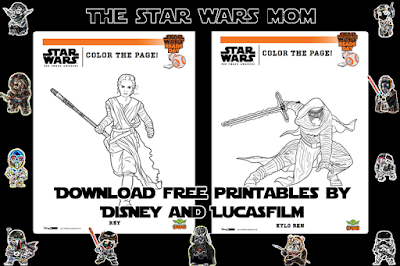 Saturday October 10th, 2015 is the 4th Annual Star Wars Reads Day by Disney and LucasFilm! 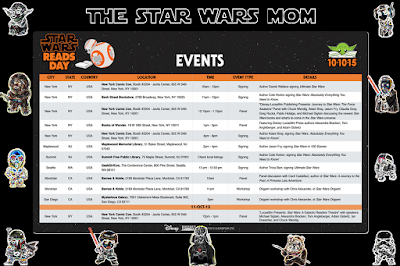 Not only are there "official" events posted via Star Wars, but check out your local library and bookstores for events, as many of them do participate. 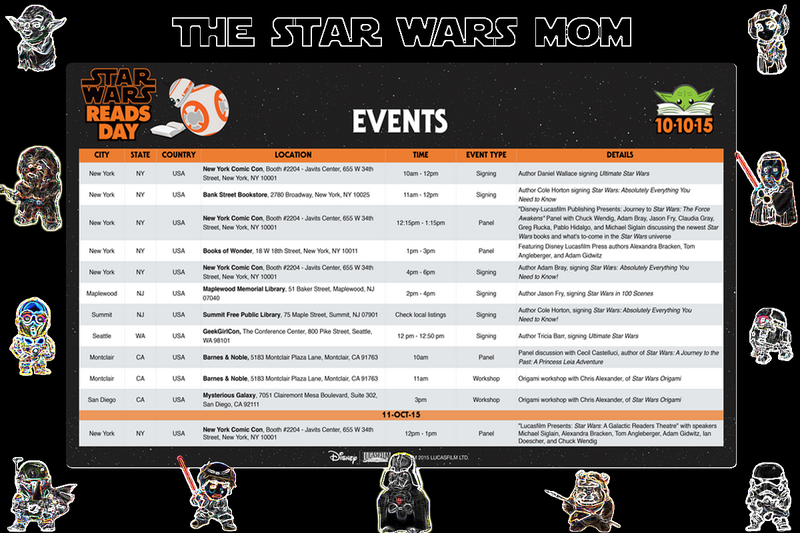 Often locals Star Wars "reenactors," such as the 501st Legion will participate in these events, so your child might even get to meet a stormtrooper. Do you own quite a few Star Wars books? If so, maybe you can throw a party in your local neighborhood for Star Wars Reads days. We have a bunch of party food ideas you can make, crafts, etc...and below are more free printables. 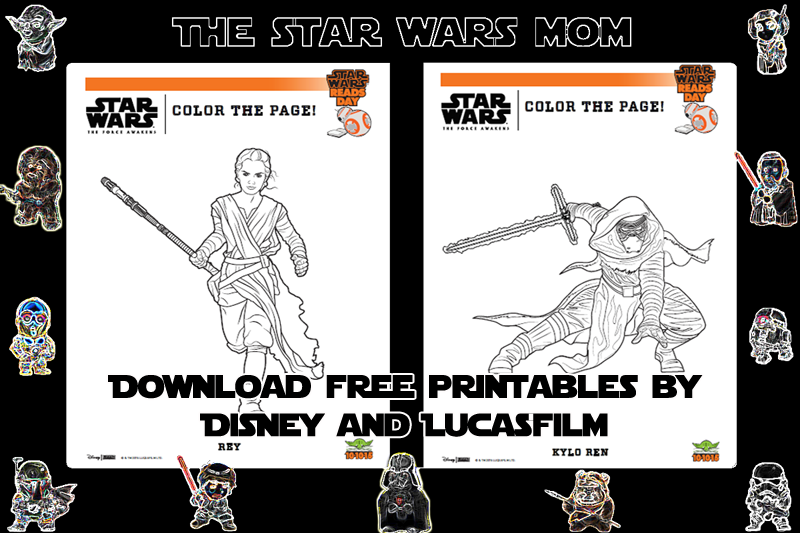 To celebrate Star Wars has released a bunch of coloring sheets and activities such as crafts, mazes, word-searches, etc. Be sure to download and print some for your children. There are PDF files.